경 력 : (1999~2003) 유니모 테크놀로지(주) (전,국제전자) 무전기 RF 회로설계 및 H/W 개발. - CWSTUDY 2 버전 S/W 개발 및 프로그램 조정심의 위원회에 프로그램 등록(2003). 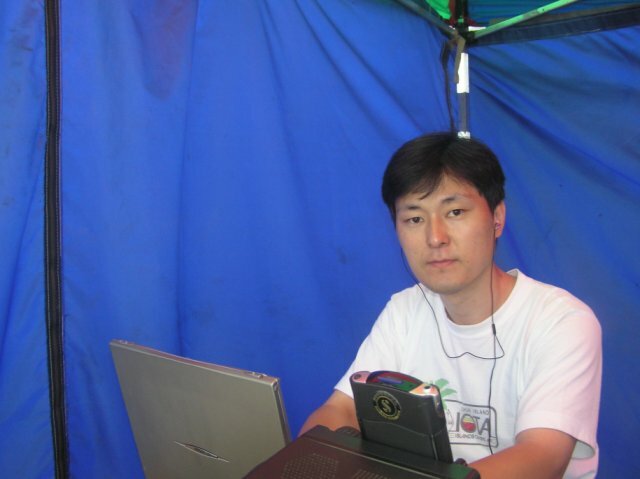 I like CW ,Contest & Ex-pedition with Mr Kim/HL1OYF, Local QSO using the Korean language. I'm currently working on the research for export CDMA Handsets Project used 800MHz and 1.8GHz. Execute Project is Orbcomm satellite subscriber Communicator(1999),RZ-SSB(Real Zero - Single Side Band) TRCV (2001), TRCV employment police & industry(2002). My primary research interests include RF circuit Design from Analog & Digital Communication ,Application software development in MS Windows environment using the Delphi tools.